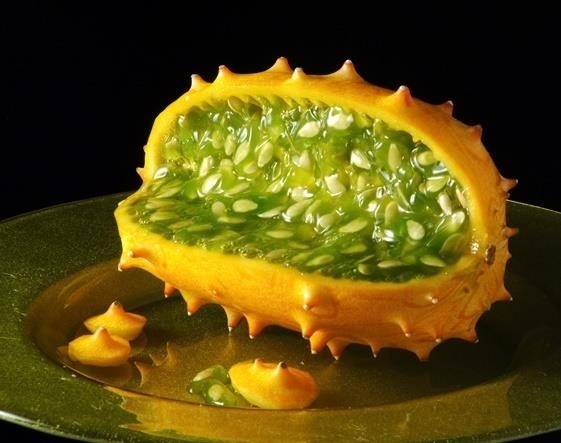 This, my friends, is a kiwano, or an African horned melon (Cucumus metuliferus). 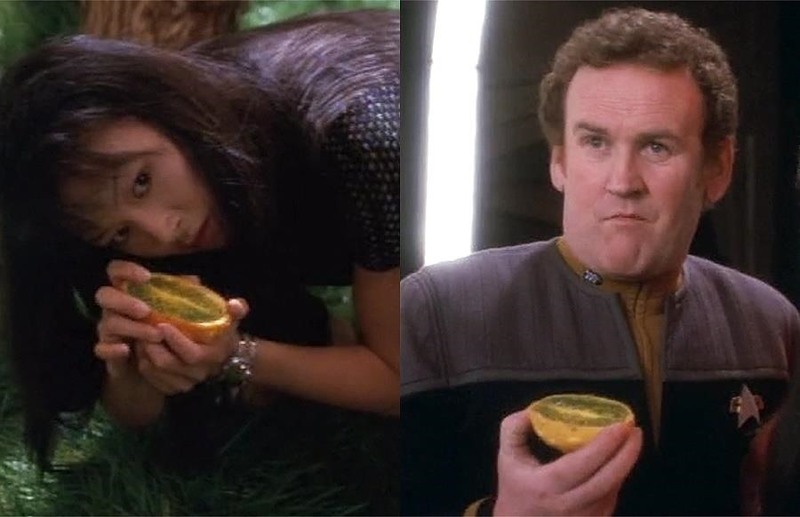 And yes, it was once featured on Star Trek: Deep Space Nine as a Golana melon (episode name: "Time's Orphan"). 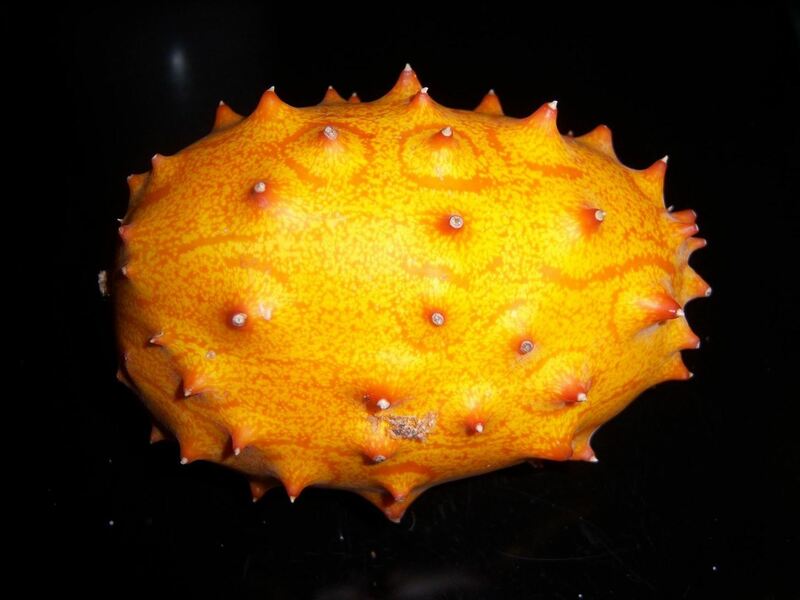 This spiny, spiky fruit is native to South Africa and is actually a member of both the cucumber and melon families, as befitting its sturdy yellow rind and gelatinous-looking insides. 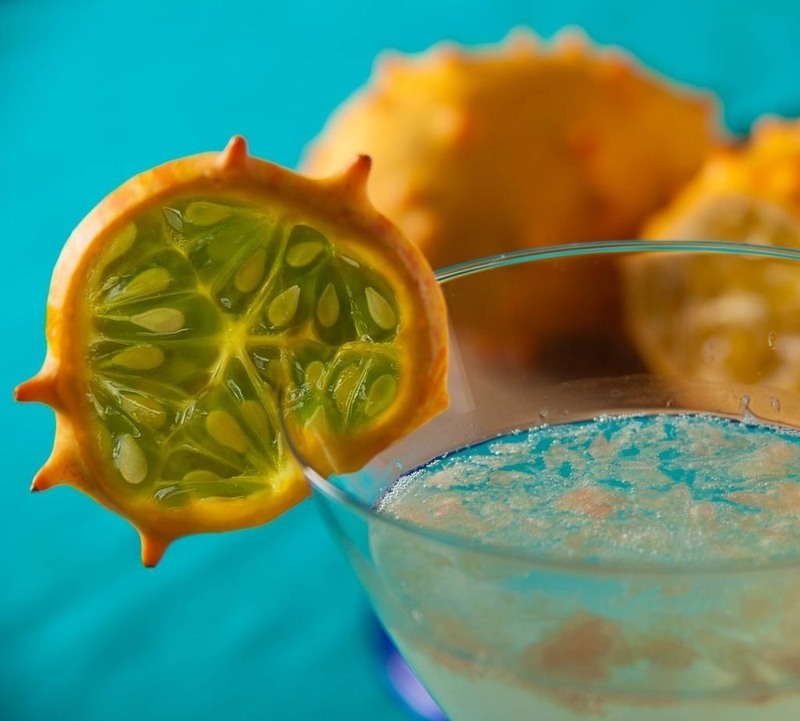 It's now grown in several different areas and is called a kiwano in New Zealand, a melano in Israel, and a cuke-asaurus in Washington state. 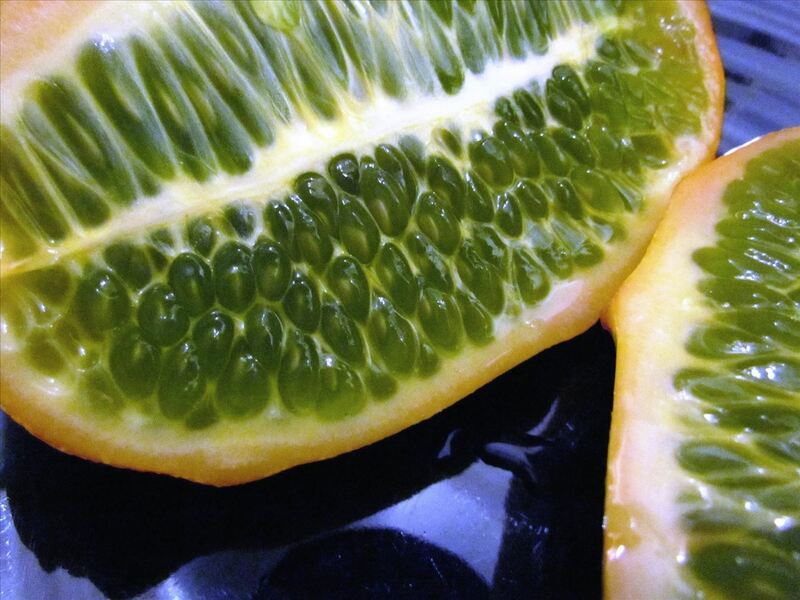 Have you tried this beast of a fruit? 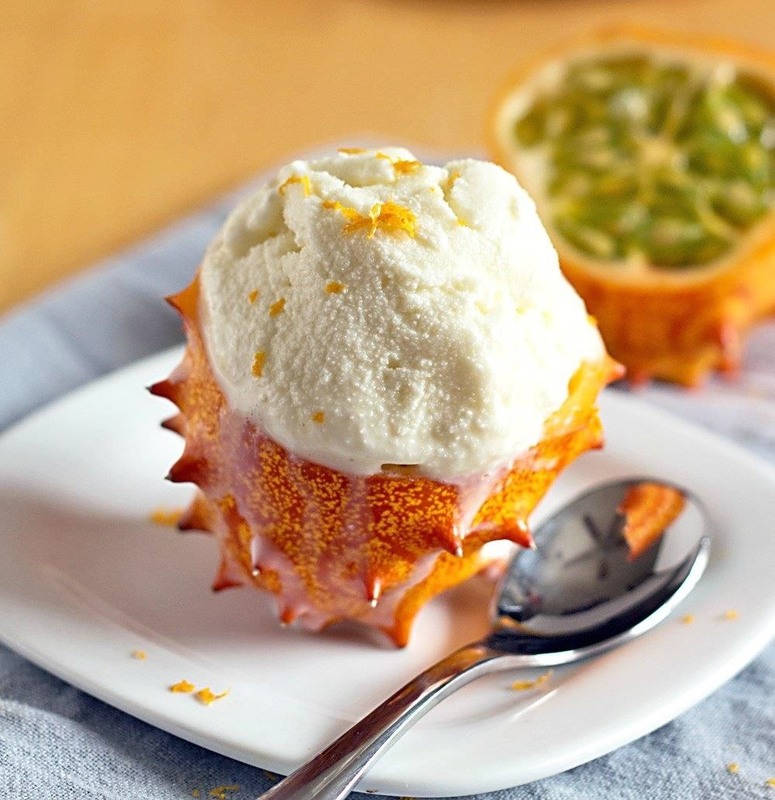 Intriguing weird ingredients can chance how you look at food. Check out finger limes, aka the caviar of citrus, these surprising mushrooms that taste like candy, and the long-fermented delights of black garlic.